Worldwide icon-chevron-right Europe icon-chevron-right United Kingdom icon-chevron-right England icon-chevron-right London icon-chevron-right Are fake events the new fake news? Are fake events the new fake news? For the majority of Time Out’s 49-and-a-bit-year history, events were promoted using flyers, posters, adverts or word-of-mouth buzz. Nowadays, of course, reaching party people is done through the rhythm of the algorithm. Specifically on Facebook, where the ability to create Events revolutionised the way the world goes out, gets drunk and then loses its bank card. But as Facebook becomes dominant, and promoters strive to get more eyeballs on their nights out, more of us are noticing an element of bull in the events we see on the social network. 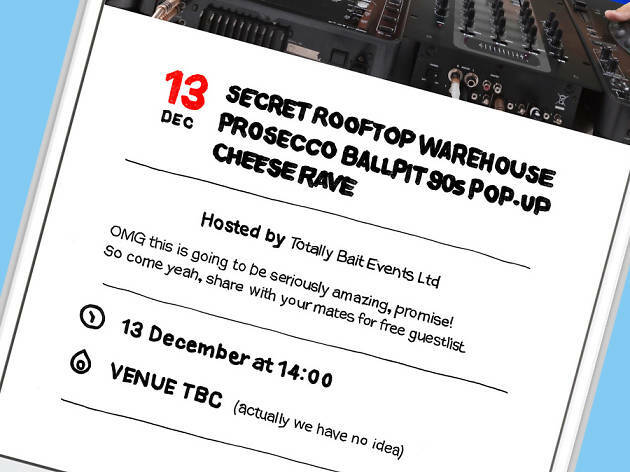 If you’re lucky enough not to have been trolled by one, these are commonly events that are promoting something large and lavish – but suspiciously lack any basic information, such as a venue, a price, or specifics on DJs or acts playing. They’re not parodies or memes – that’s a whole other burgeoning side to Facebook that’s had us laughing for the last few years. No, unlike Harambe Candlelit Vigil or Justice for Freddo, these are events passing themselves off as real. The most successful fakes are both strikingly vague and exciting enough to get thousands of punters to sign up. There are recurring themes. Many promise a ‘secret’ element; two big examples include ‘Secret Woodland Rave’ and ‘Abandoned Warehouse Rave’ – as though they’re offering the kind of biblical coming together that only exists in the hallucinogen-induced flashbacks of old ravers. So why set up a fake event? We asked Ryan Palmer, a DJ used to playing the kind of genuine raves that bogus events pretend to advertise, who also happens to have a background in hacking. First off, he noticed that pages such as the ‘Secret Woodland Rave’ would have ‘many events running in different cities at more or less the same time, which were logistically impossible to pull off’. Through Google image searches, he also noticed that the photos used were actually of random events, such as Eastern European free parties. There were no contact details on most of the pages either. Palmer thought at first that the motive was a nefarious plot to extract data, which is potentially true in some cases. But the recurring theme is that a day before the event is supposed to happen, it will be ‘postponed’ and then changed into something advertising a paid event. The problem with Facebook is that it lets you change essentially everything about an event while still keeping the valuable harvest of people who previously asked for notifications. So by clicking ‘interested’ for a Summer Rooftop Party, you may ultimately end up getting spammed by a student night in Bournemouth a week later. While there’s undoubtedly something strange going on, tracking down who is behind the fakes is a tough process. We looked at one event as a test. ‘Abandoned Warehouse Rave’ kept popping up in different cities, drawing in Facebook attendees, only for the pages to change into ‘Freshers Carnival’ after a period of time. A domain search shows that www.fresherscarnival.co.uk is owned by something called JH Events, which a Companies House search revealed was owned by two people. We tried to contact them, but were almost instantly blocked when we started to ask questions. It was a similar situation with the ‘Secret Woodland Rave’. We found a phone number buried on one of its spin-off pages, which went unanswered. But a quick search revealed that it was the same phone number used by a Nottingham promotions company. Again, it appeared it was building up a bank of unknowing punters to then spam with their events in the future. Of course, there are worse things in the world than making fake events. But just as fake news distracts from real news, fake events are leading to real ones increasingly being looked at with scepticism. Promoter Ryan McNally told us that he sees it as ‘part of a much bigger problem with the way people use the internet today. Nobody wants to spend the effort checking sources.’ It’s for this reason that fake events lead to distrust with genuine promoters, which takes away traffic – both internet and foot – from actual, small events. They can put fun-hungry Londoners out of pocket, too. We looked at a handful of popular events coming up soon in London, all of which had barely any info attached. 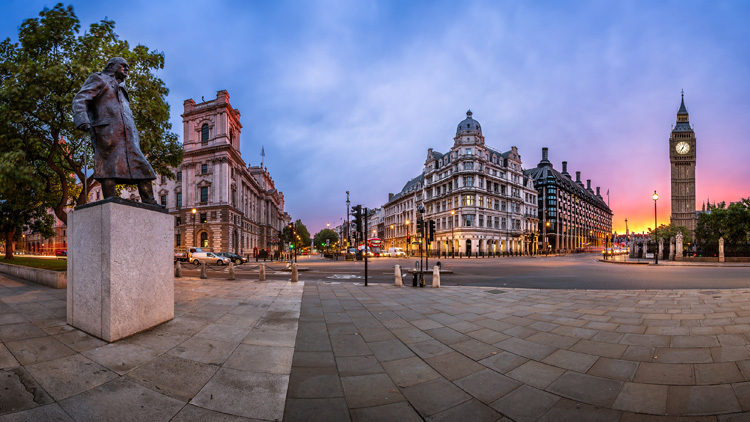 After writing to frustrated commenters, we found some from outside of London who had already booked time off work or bought transport to London, only to slowly realise that they were almost certainly following a dud. With some, also, we noticed that the organisers had similar events running in different cities, many linking through to a website that seems to be extracting data. This suggests it’s all a ‘black hat’ scheme – a way of gaining high SEO rankings through link manipulation and hacking the back-ends of websites. So, how can we deal with all this? Well, as with fake news, giving everything a basic fact-check is a good start – before you start giving it more exposure by clicking ‘interested’. 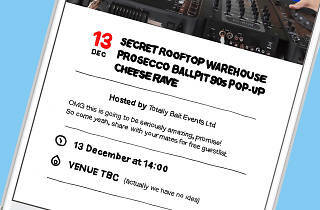 And ultimately, if – like a secret rooftop warehouse prosecco ball pit ’90s pop-up cheese rave – it sounds a bit unreal, it probably is. What else is fake in our capital? 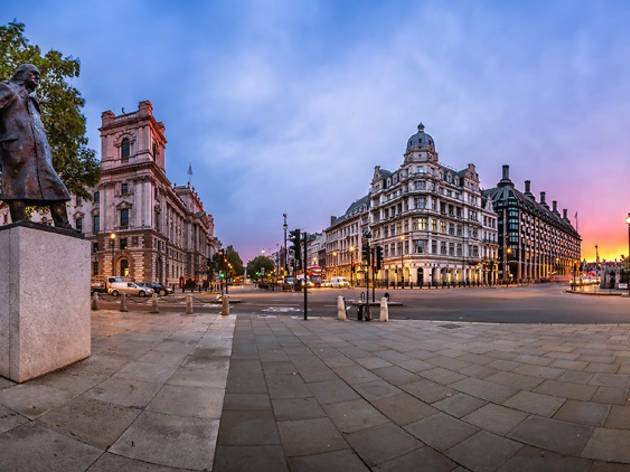 Like any city with a 2,000-year history, London has its fair share of misinformation and urban myths.